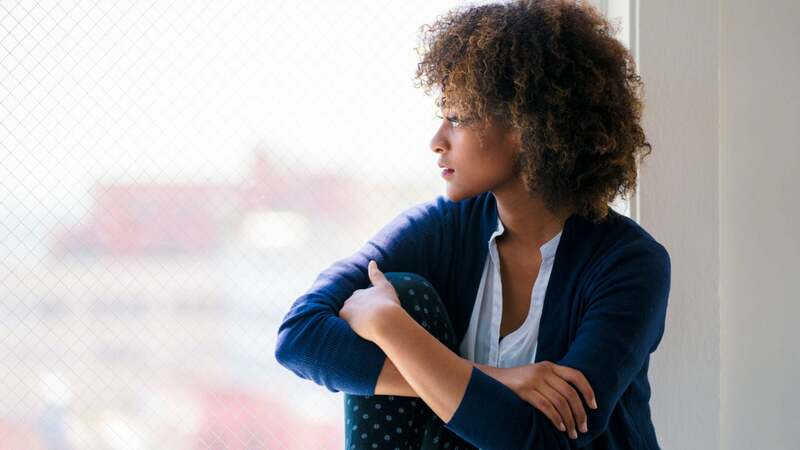 A newly released report is shedding light on key issues—politics, money, education, health and more—impacting America’s 22.7 million Black women. Friday in the nation’s capital, leaders of the civic group, Black Women’s Roundtable, unveiled “Black Women in the United States, 2019: Centering Black Women & Girls Leadership & Public Policy Agenda in a Polarized Era.” It’s the sixth in a series of annual reports released by the organization that examines the overall conditions and various concerns of Black women throughout the U.S. The Moriah Fund, Ford Foundation, AARP and Oxfam provided support for the report, which utilizes data and expert insight from some two-dozen contributors nationwide; all Black women, they’re academicians, attorneys, elected officials, executives, community advocates and more. Campbell said the document takes “a deeper dive” into issues revealed in the annual “Power of the Sister Vote” poll which BWR and Essence have released each September for the past four years. The timing for the release of “Black Women in the United States, 2019″ follows a historic midterm election in November 2018. Amid record voter turnout, Black women (and women overall) made historic political gains that yielded more diverse representation in Congress, and at the state and local levels. Moreover, the analysis comes ahead of an anticipated high-stakes race in 2020 for the White House. Among the candidates is Sen. Kamala Harris (D-CA); she’s among a handful of Black women (the late Congresswoman Shirley Chisholm was the first major-party candidate in the early 1970s) who have sought the presidency. Fast forward to the 21st Century, and there’s ample evidence Black women are asserting their collective power in unprecedented ways—be it in the voting booth, on college campuses, or in Hollywood. Yet a range of deeply entrenched issues requires attention. More than 70 percent of Black mothers are either the sole or primary breadwinners for their families, and another 14.7 percent are co-breadwinners. Among Black women working full-time, year-round workers earned only 61 cents for every dollar earned by White male workers compared to 77 cents for White women, 85 cents for Asian American women, and 53 cents for Latinas. This disparity can have lifetime effects; Black women stand to lose an estimated $946,120 over a 40-year career due to the wage gap. Overall, Black women continue to excel in degree attainment. During the 2016-2017 academic year, Black women earned 67 percent of all Associate’s degrees earned by African Americans; 64 percent of all Bachelor’s degrees; 70 percent of all Master’s degrees; 68 percent of all research doctorates; and 65 percent of all professional practice doctorate degrees. In 2013, the median wealth for single Black women without a Bachelor’s degree was just $500 compared to $8,000 for white women without a Bachelor’s degree. Black women continue to lead Black male enrollment at HBCUs, as they do at colleges and universities overall. According to research by Purdue University and Gallup, Black graduates of HBCUs tend to fare better in their post-college experiences than do those who graduate from Predominately White Institutions (PWIs) across a variety of indicators, including financial and social well-being. Digital discrimination is potentially creating barriers for Black women; some companies are using algorithms to analyze data of prospective employees to determine more desirable hires. And the report notes that some financial institutions, insurance companies, education, and the health care industry may use digital algorithms to determine the services, attention and care they provide to Black women. Black women remain under-represented and under-funded in Science, Tech, Engineering, Math (STEM). Despite comprising 14.5 percent of the overall American private industry workforce, African Americans only account for less than three percent of Silicon Valley’s labor pool. Contrast that to the fact that “in 2014 to 2015, Black students earning a Bachelor’s degree in STEM accounted for 7.1 percent of graduates in those fields,” according to the Department of Education. Across the country, Black women are the nation’s fastest-growing demographic of entrepreneurs. However Black women “comprise four percent of all female entrepreneurs running tech startups in the United States,” the report notes. In tech, they are the least likely to get funding from venture capitalists. Immigration is impacting Black communities, including young “Dreamers”; at least 30 percent of the U.S. population eligible for Deferred Action for Childhood Arrivals (DACA) are Black. There are 13 countries that had Temporary Protected Status (TPS) at the beginning of 2017. Nine of those countries have lost that immigration status or have terminations pending under the Trump Administration. Seven are Black majority countries; including around 70,000 people from Haiti, Guinea, Liberia, Sierra Leone, Sudan, South Sudan, and Somalia. According to a report issued by the Immigration and Customs Enforcement (ICE), there was a 140 percent increase in removals of African immigrants from the U.S. in 2017. The U.S. is the only developed nation where the maternal mortality rate has increased over the past two decades. For Black women specifically, maternal mortality is four times that of white women, and in some localities such as New York it is much worse. The issue affects Black women from “all socio-economic backgrounds,” the report notes. The top complaint Black women have during and after childbirth, according to the report, is that their medical providers didn’t listen when they repeatedly tried to tell them something was wrong. Black women are disproportionately targeted by discriminatory behavior at work. Research examining sexual harassment claims filed with the federal Equal Employment Opportunity Commission (EEOC) between 2012 and 2016, for example, found that Black women were three times more likely to file sexual harassment claims than white, non-Hispanic women. According to recent federal data, Black girls’ 12 percent suspension rate is much higher than girls of any other race and most boys. According to the report, Black girls with “darker” complexions were suspended more frequently. Black girls and young Black women comprise just 14 percent of the general youth population, yet they comprise fully one-third of girls and young women being detained and committed within the juvenile system. One of the leading causes of death for Black women aged 15-35 is domestic/intimate partner violence. Black women are almost three times as likely to be killed as a result of domestic violence. More than 13 times as many Black women were murdered by a man they knew than were killed by a stranger. Of Black victims who knew their offenders, 58 percent of Black victims who knew their offenders were wives, common-law wives, ex-wives, or girlfriends of the offenders. In the 2018 Midterms, the U.S. experienced its highest voter turnout in 50 years. Record numbers of Black women ran for political office; positions they sought ran the gamut from local commissioners to governors and U.S. Representatives. There are now 25 Black women serving in the 116th Congress. All are Democrats. Unlike most early members of the Congressional Black Caucus (CBC), Black women are now representing districts that are racially diverse. A Black woman in Georgia was among the African-American candidates who ran high profile campaigns for governor; Stacey Abrams garnered 1. 9 million votes during a race riddled with allegations of voter suppression tactics. Four African Americans won Lieutenant governor’s races, one a Black woman in Illinois. Juliana Stratton (D), is the first African American in that state to hold the position. Another state-level victory for Black women was the election of Letitia James as Attorney General for the State of New York. Currently, there are dozens of Black women mayors nationwide, and seven Black women lead some of the 100 largest cities in America. In April, the city of Chicago will be joining the list; two Black women have advanced to a runoff election—the winner will be the first Black woman mayor in the city’s history. As part of its Unity’18 Campaign, the National Coalition on Black Civic Participation conducted its 2018 Election Day Exit Poll of Black Women Voters. More than 1, 800 surveys were collected in Alabama, Florida, Georgia, Ohio, Michigan, and Mississippi. Regarding Black women’s priorities, more than 70 percent of those surveyed rated the following issues as very important: Affordable Health Care; Criminal Justice/Policing Reform; Equal Rights and Equal Pay; Hate Crimes/Racism; Jobs/Employment; and Voting Rights. The full text of the report can be viewed at www.ncbcp.org.